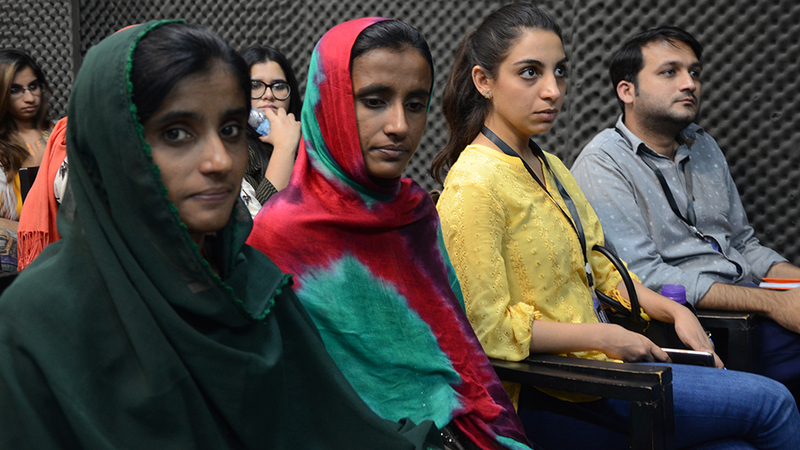 “From the Desert to the Ramp”, a short documentary developed by Community World Service Asia and PLUM Media Tank, showcasing the transformative journey of rural artisan women becoming the hands and heart of an urban fashion brand, was screened at an event titled “The Craft Journey”at the Indus Valley School of Art & Architecture (IVS) in Karachi last week. The event celebrated the successful collaboration between Community World Service Asia (CWSA), the Danish Centre for Culture and Development (CKU), the Department of Textile Design at IVS, and the Women Enterprise Groups representing artisans from Umerkot and Thatta Districts of Sindh. It was this consistent year-long collaboration that made the journey of these artisans posible and conclusive. 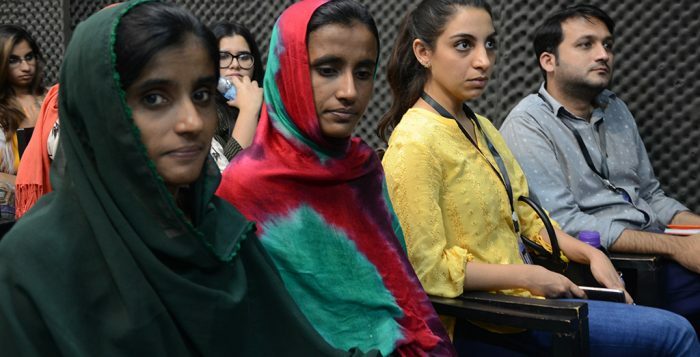 Students and Faculty members of IVS, representatives from Community World Service Asia, Centre for Culture and Development (CKU), the artisans of Umerkot and Thatta participated in this event. They all witnessed the exquisite products that were produced through the mix of impeccable craftsmanship and design aesthetics of the merger between artisans and students. Prominent fashion designers and popular fashion and home brands representatives such as Khaadi, Habitt, Tarzz, Nida Azwer Atelier, Mahwish Hassan and Saniya Maskatiya, attended the event. The primary objective of this collaborative project was to empower marginalized women artisans towards taking an active role in decision making and represent themselves with the indigenous craft tradition of their region. The project also aimed at establishing sustainable linkages between the artisan community and the urban markets to maintain a continuous chain of demand and supply meeting current market trends, while upholding the handicraft identity. It also aimed at empowering the rural artisans to take control of their own business, thereby creating a strong, mutually beneficial professional relationship. During the span of 12 months, various collaborative design workshops in selected villages of Umerkot and at the IVS campus in Karachi were conducted. They covered extensive data collection of artisans and various embroideries practiced in the region, initial sampling, designing of a cohesive project range, procurement of raw material, execution and finishing of the first collection of over 800 apparel products. In a span of 40 days, 679 women artisans created masterpieces of art and skill combined for distinguished Pakistani designers within demanding deadlines. They worked tirelessly to produce 1700 products that are true specimen of tradition-meets-modernity. To introduce these handcrafted masterpieces to the fashion industry and clientele, a brand Taanka at the reputable fashion platform of Pakistan Fashion Design Counsel (PFDC) in Lahore was launched, followed by a Craft Festivals, to further promote the brand and the Sindhi folk culture and handicrafts, was held at Dolmen Mall in Karachi. A very significant step towards providing an entrepreneurial platform to the artisans has been establishing the link with well known designers and fashion brands through meetings and exposure visits. These experienced designers have been evaluating the skill and potential of the groups of artisans and planning possibilities of future long term collaborations with them. These meetings were arranged at Indus Valley School of Arts & Architecture through their Textile department where meetings between artisans representing WEGs in Umerkot met with Rizwan Beyg, Wardha Saleem (popular and very high-end fashion designers) and the crafts brand Tali, to have one to one sessions.